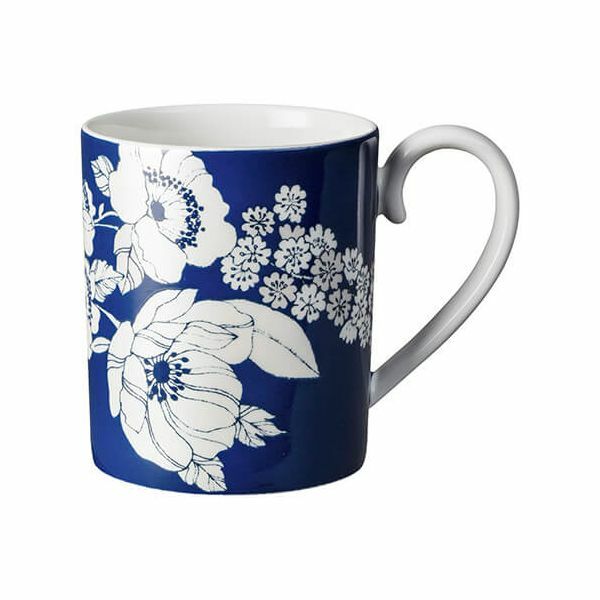 This divine Monsoon Fleur Small Mug by Denby is finished in a stunning Cobalt Blue with a delicate, shimmering silver floral pattern on soft, cream china. 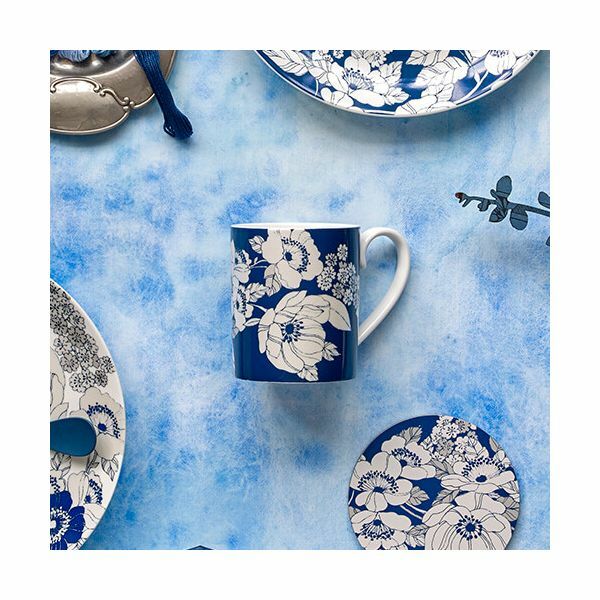 Building on the popularity of blue as a classic tableware colour, Monsoon Fleur takes its inspiration from a pattern found in the Monsoon fabric archive. This bold interpretation works wonderfully in contemporary and classic surroundings, either as a full collection or adding style and interest as an individual item. As with all Denby pottery, Monsoon Fleur looks good enough for special occasions and entertaining yet is durable enough for everyday use. It is oven safe for reheating food (to 100°C), microwave safe, freezer and dishwasher safe.